The Foxhunter Chase follows the Cheltenham Gold Cup on the closing day of the festival and is restricted to amateur riders. Dual Olympic cycling gold medal winner Victoria Pendleton will ride in the race this year aboard Pacha Du Polder for Paul Nicholls. Her decision to take up the challenge with the backing of Betfair has not been universally popular and has not been without some hiccups along the way. Former Champion jockey John Francome was among her critics after she was unseated from Pacha Du Polder at Fakenham in February. To her credit, she bounced back with a 29 lengths victory on the horse at Wincanton last week. Pemberton was given the go-ahead by connections of Pacha Du Polder who is a decent racehorse in his own right. He beat Big Fella Thanks at Wincanton, a horse that has finished only five lengths behind him at Newbury in a valuable chase back in 2013. Pemberton’s presence will add extra interest to the race and she is certain to carry a lot of support at odds as high as 18-1. 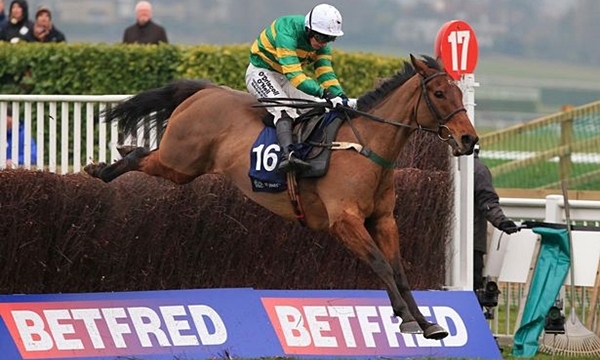 The bookmakers are in no doubt that On The Fringe is the one to beat in the Foxhunter Chase. He romped to a 17 lengths victory in this race last year before following up at Aintree. Nina Carberry rode the gelding in both races. On The Fringe reappeared at Leopardstown last month but could finish only seventh behind You Must Know Me. Jamie Codd stood in for the injured Carberry on that occasion but the horse needed the run after a lengthy absence. Paint The Clouds is among the market leaders after beating One More Tune at Doncaster last month. Warren Greatrex trains the eleven-year-old who was third in last year’s race and fourth in the Bet365 Gold Cup at Sandown. The son of Muhtarram is the ride of Sam Waley-Cohen, best known for his Cheltenham Gold Cup victory on Long Run. Philip Hobbs could saddle Mendip Express who also holds an entry in next month’s Grand National at Aintree. He won well at Warwick in January but only scrambled home by a neck at Fontwell last month. Aupcharlie carries plenty of confidence from Henry De Bromhead’s stable after beating Marito by half a length in a point-to-point last time out. Dark Lover is also worthy of consideration after winning two Hunter Chases this winter for Jamie Snowden.